This is what people think of when they think of Hawaii: golden sand, blue water, and rolling surf at Hapuna beach, often touted as one of the best beaches in the world. 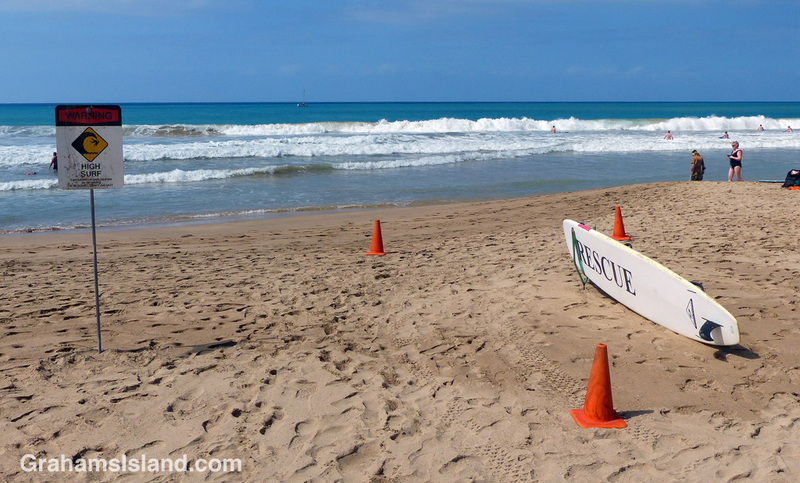 Trouble is sometimes the surf gets too big, which is when the lifeguards have to get busy. Not sure the surf in this photo warrants the sign, but even small surf can cause trouble for people unfamiliar with it. yes. this looks like very moderate surf conditions. However, they don’t call it break neck beach for nothing.